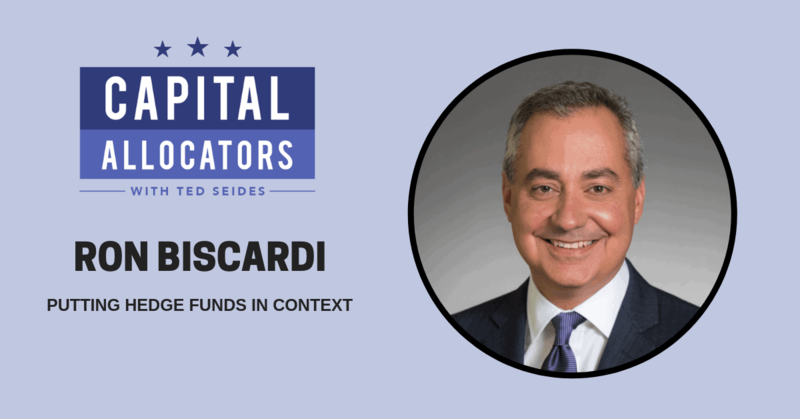 Ron Biscardi, the Co-Founder and CEO of Context Capital Partners and a Partner and Board Member of Context Summits. Ron sits at the intersection of buyers and sellers for small funds, and actively invests as a provider of acceleration capital. Our conversation covers Ron’s path from an engineer to an asset management entrepreneur, the challenges and opportunities of investing in small hedge funds, the disconnect with the perception of hedge funds in the media and the reality that occurs at the Context Summit, the interests of single-family offices, and new investment opportunities on the horizon.